Need more hours in your day? Save time by not breaking the loop on 4-20 mA signal measurements with the Fluke 771 Process Clamp Meter. 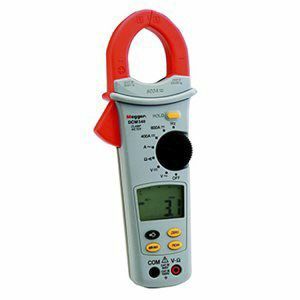 If you need more time in your busy day take a good look at the Fluke 771 mA Clamp Meters. Its designed to save you time, and money, by eliminating time wasting activities. Now you can troubleshoot and repair 4-20 mA loops without breaking the loop or bringing down the system. 2 AA batteries, soft carry case and user manual.